Brennis Golden (B.G.) Boster II, flew home to be with his Lord on Saturday, March 16, 2019. He was born on February 19, 1935 in Lincoln Co. to J. Herman and Ruby (Bowles) Boster. He graduated Hamlin High School and enlisted in the service in 1955. He fell in love and married Carolyn Bays on February 14 and they recently celebrated their 60th anniversary. They have a daughter Tammy and son-in law Doug Mathews and granddaughter Paige. He is survived by brother, T.J. (Ruth Ann) Boster, and sister, Betty (Rick) Richter. B.G. was preceded in death by his parents. B.G. was a deacon at Sycamore Baptist Church. He retired from Rhone-Poulenc after 32 years of service. 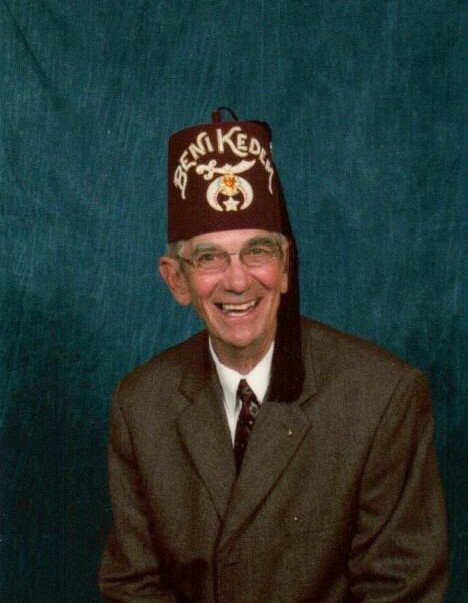 He was a member of Putnam Lodge 139 and the Valley of Huntington Scottish Rite 33rd degree where he served as Almoner. He belonged to the Beni Kedem Shrine Temple in Charleston where he was Chaplin. He supported Lincoln Co FFA and was a member of the Cabell Co Farm Bureau. His beloved family farm was honored with a Century Farm plaque recognizing 100 years family ownership. Visitation will be held on Monday March 18th from 6pm to 9pm with Scottish Rite service at 7pm at Allen Funeral Home. Service will be on Tuesday 19th starting at 11am at Allen Funeral Home. Burial at Valley View Cemetery with Masonic rites.